Who inspires me: People who aren’t afraid to reveal their flaws and share their true feelings. Best advice: Let people in. We are never alone, even when it feels that way. Someone else has been there, they’ll understand, and they’ll be happy to help. As the founder of the wildly popular website Tiny Buddha, Lori Deschene appears to have it made. More than two million fans flock to her site each month to unearth a trove of articles written by everyday people about their quests for healing and happiness. Some two million people follow Tiny Buddha’s social media channels and 100,000 subscribers lap up Tiny Buddha’s regular emails. Lori has authored three personal development books, she’s travelled extensively through the United States and Europe, and she’s in the process of launching a film production company with her loving fiancé. But it hasn’t always been this way. As a result of a difficult childhood and intense bullying, Lori developed an eating disorder that was so serious she was hospitalised eight times. She binge drank, she chain smoked cigarettes, she isolated herself in shame. How did Lori fight her way out of darkness to inspire millions to be their greatest? How did Lori fight her way out of darkness to inspire millions to be their greatest? From a young age, Lori felt unlovable. She remembers an adult in her life telling her, “If I was your age, I wouldn’t be your friend.” She remembers believing everyone hated her in junior high. She desperately wanted to be liked, she felt both needy and insecure, and she resorted to trying to sound sexually experienced in an attempt to look cool. She also remembers how this backfired, and how a student from a neighbouring school once told her, “Don’t bother switching schools. Everyone everywhere knows you’re a worthless whore.” She came to believe that this was true – that she was worthless, and somehow everyone she’d meet would already know this. In an attempt to numb her pain and shame, she’d ram food down her throat in a frenzy of eating, then make herself vomit. Her obsession with food consumed her very existence. 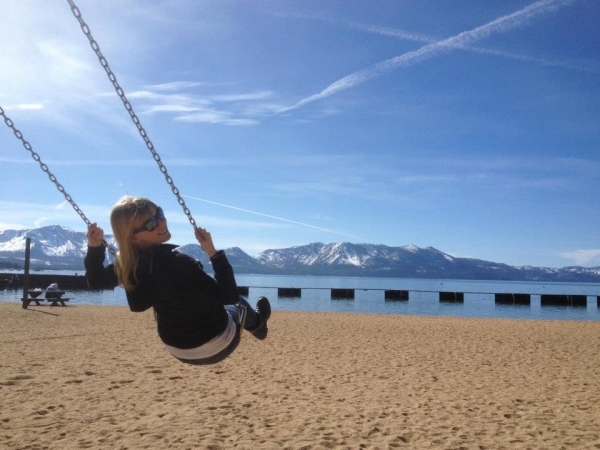 Lori began therapy at 12 years old, yet her condition worsened as the years passed. She eventually bounced through eight different psychiatric hospitals in failed attempts to treat her bulimia and depression. None of them helped, and none could, because she didn’t believe it was possible for her to recover. 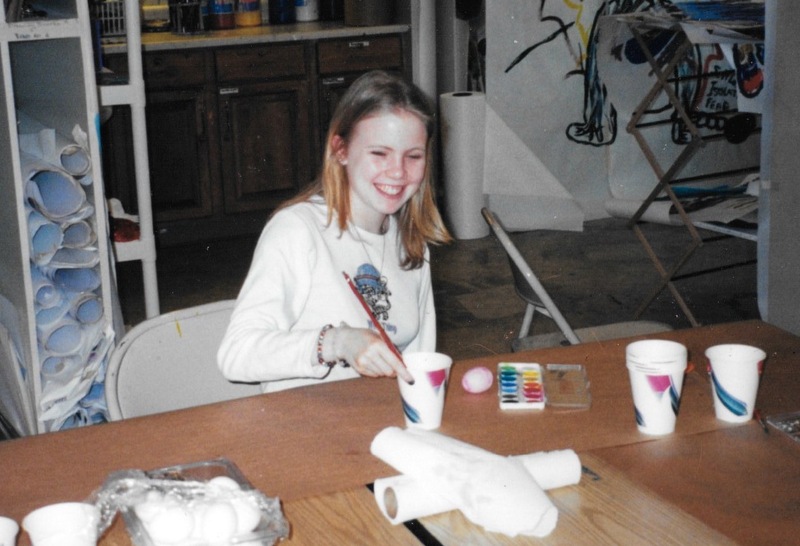 A young Lori in art therapy – yet another attempt to overcome her bulimia and depression. By the end of the three months Lori was much improved. She’d still purge once a day, but it slowly became more sporadic after leaving the program until it occurred only once every few months. But there was no quick fix. While Lori went on to overcome her bulimia, the tendency for self-destruction remained. While living an isolated life in New York City, she’d binge drink, sometimes with others and sometimes alone, often to the point she couldn’t remember what she’d done while intoxicated. She worked part-time in telemarketing and promotional marketing and spent the rest of her time at a Times Square internet café, desperately searching for clues about who she should be. In her searching, she found an ad for a local yoga studio that was offering free yoga classes in return for volunteer work behind the studio’s reception desk. Having tried yoga before and experienced a profound sense of peace and clarity, she knew such a job could be life-changing. With yoga came meditation, and Lori learned of the benefits of mindfulness. She came to learn how to avoid being swept up in her emotional cyclones. And slowly, very slowly, life started to get better. 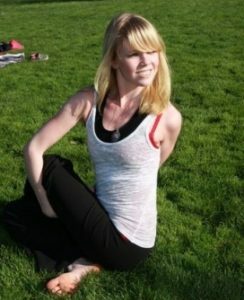 Practising yoga helped transform Lori’s life. Before moving to New York, Lori had spent months touring the United States with promotional marketing campaigns – a job she’d enjoyed. So, when she saw an advertisement calling for people to join the marketing initiative ‘Steps Across America’ she wanted the job so badly it hurt. Participants would embark on a three-month trek across the American continent promoting pedometers and fitness products, and would get to blog about their journey. 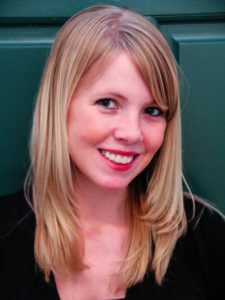 Lori had always dreamed of writing professionally, having penned poems and stories from a young age as an outlet for her emotions, and having studied writing in college. Here was her chance. But she didn’t get the job. When she learned she wasn’t selected, she was devastated. But she decided to reframe the experience in a more positive light. Though they hadn’t chosen her as a walker, they had chosen her as an alternate, in case someone couldn’t honour their commitment. For the first time in her life, she refused to see rejection as proof that she was unworthy, and to instead appreciate the opportunity she’d received. She believes it was because of this shift in mindset – the shift to a positive attitude – that the company hired her as the tour’s official ‘dog walker’ at the last minute. Lori’s position didn’t require her to blog, given that she was really a glorified animal handler, but she so desperately wanted to write that pitched a ‘dog blog.’ She’d share the country from a ‘dog-eye’s view’, allowing her to convey the ideas she wanted to share in a quirky way. The tour directors loved the idea, and just like that, she was walking and blogging her way to a new life. 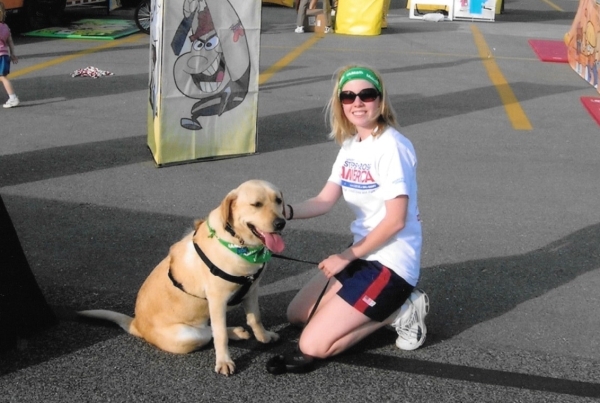 Lori on the Steps Across America journey as official ‘dog handler’. For the first time in her life, she refused to see rejection as proof that she was unworthy. 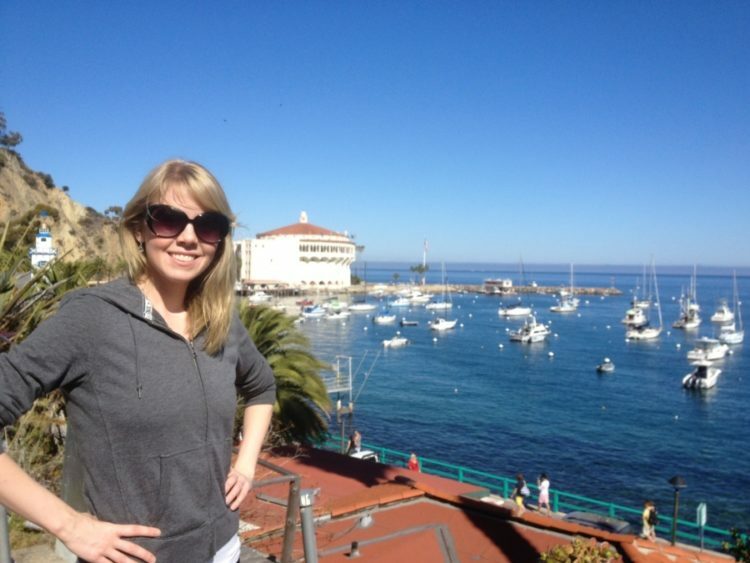 When the trip ended in California, Lori decided to move there with a friend she’d met on the tour. Fired up by the thrill of writing on the trip, she found a job in San Francisco writing content for a senior care website. She wasn’t exactly passionate about the subject, but she was writing. Next she received a writing job for a business website. Then a pet site. On the side she began writing for ‘tween girls’ magazine. This is what lit her up – knowing she was helping kids who might be struggling like she had. Along the way Lori began Tweeting inspiring quotes through @tinybuddha, growing her following with the help of some influential friends she’d met in Silicon Valley. Within a year she had 50,000 Twitter followers. Lori’s writing for ‘tween’ magazines helped her realise her desire to help others through writing. It was slow going at first but gradually the blog gained momentum. Seeing the engagement on the blog, and how people responded to Lori’s stories, more and more people began asking to contribute. Soon it had such an audience that Lori wrote her first of three books. Word spread. More and more people flocked to Tiny Buddha for inspiration.